The new Indian Scout Bobber will beofficially launched on November 24 at the 2017 IBW motorcycle show. Indian Motorcycle had shared the pricing for thenew Scout Bobber few months back and the new bike retails for Rs 13.95 lakh (ex-showroom). Bookings for the motorcycle has commenced across all Indian Motorcycle dealerships in India for Rs 50,000. The new motorcycle is the third model to join the Scout family after the standard variant and the Scout Sixty. Deliveries for the first lot of the new cruiser motorcycle will start by November. The bike will compete against the likes of the Triumph Bonneville Bobber and Moto-Guzzi V9 Bobber in India. In true bobber tradition, the new motorcycle features a chopped front fender and rear mudguard along with fatter tyres to give it a stripped-down look. The headlight cover is also different and most of the parts have been blacked out to give the Indian Scout Bobber a mean look. The new bike also gets equipped with a redesigned single saddle, a badge on the tank and bar-end mirrors. The rear suspension travel has been lowered by 45mm to give it a better stance, while the telescopic front forks now get new cartridges. Powering the new motorcycle is the same engine as seen on the Indian Scout. The 1,113cc V-twin engine delivers 100PS of power and 98Nm of peak torque at 6,000rpm. Power is transmitted to the rear wheel by a six-speed transmission. Braking is done by a single 298mm-dia disc brake at front and rear, while ABS is an optional extra in the US market but it would most likely be standard in India. The bike rides on a 130/90 R16 tyre at the front and a 150/80 R16 tyre at the rear. The Scout Bobber has a 12.5-litre fuel tank and weighs 251kg. The new Scout Bobber will be available in the following five colours - Thunder Black, Star Silver Smoke, Bronze Smoke, Indian Motorcycle Red, and Thunder Black Smoke. Indian Scout Bobber prices start at Rs. 13.15 lakh (Ex-Showroom). 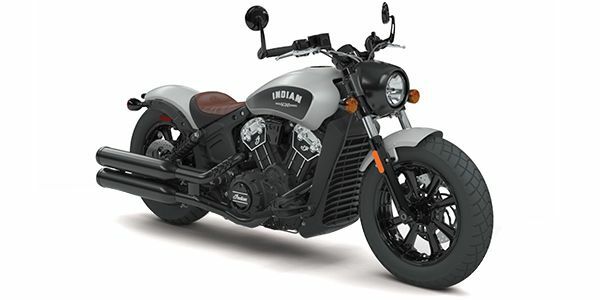 Indian Scout Bobber is available in 1 variants and 5 colours. Share your experiences with Scout Bobber? The claimed ARAI mileage for the Indian Scout Bobber petrol is 25 kmpl. Q. Can the bike handle long rides? Is the bike worth it if compared to Harley Davidson range? The Scout has shed some clothes, gained some muscle and a new name. Is the result as good as the Scout? Going sideways is going to be even more fun on a capable road-legal motorcycle! Bikes and whiskies, the perfect blend?